Hello friends, hope you all had a wonderful Easter long weekend. I found that this was a great time for me to catch up on blogging, and I feel like I'm finally back on track (hopefully). I recently reached the milestone of 200,000 pageviews for my blog, and I couldn't be happier. I started reflecting on my blogging experience, and I must say, blogging has opened many doors and opportunities for me, and I'm quite thankful for that. I never thought I would get the chance to work with so many great companies, and try things I would never thought of trying. If you're new to blogging and have thought about creating content and making a blog, I would say you should make the jump. It's never too late to chase your dreams! Today I will be reviewing the Arbonne RE9 Advanced Anti-Aging Skincare Line. Even though I'm fairly young still and am not in the market for this kind of skincare line, I felt I should still give it a shot and provide you with my honest opinion on Arbonne's skincare products. 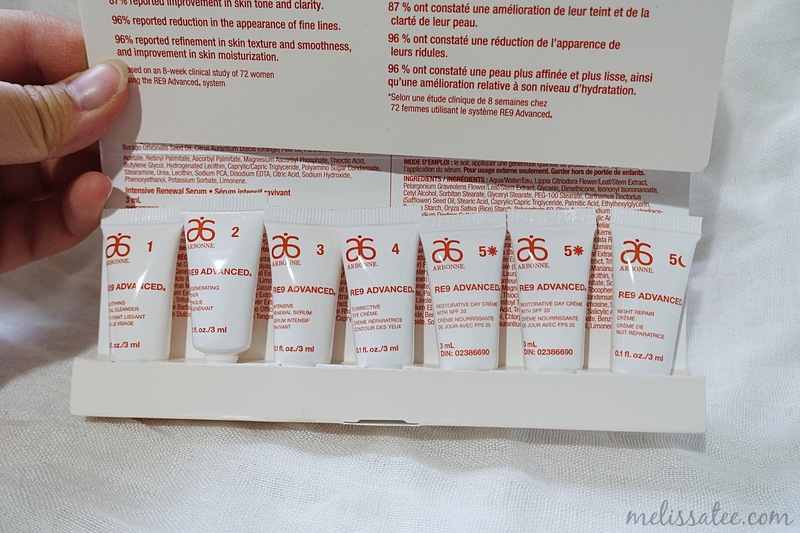 I got a sample size set to try all the products from the RE9 Advanced Skincare Set, and it lasted me a little under a week. Here were the claims of using the product. I'll go over what changed about my skin within the use of a week. Step One - Smoothing Facial Cleanser: When I used the cleanser, I found that it worked best when you used less and mixed the lather with some water. The day I used too much, my skin felt extremely tight and dry. Using the right amount provided me with clean feeling skin, and no tightness. It definitely helped with removing excess make-up that didn't come off after using a make-up wipe. Step Two: Arbonne Regenerating Toner: I found that the toner refreshed my skin, and didn't leave it feeling tight. Didn't really do anything amazing or significant. Step Three: Intensive Renewal Serum: Personally, using the product for a week I didn't see any significant changes in my skin. 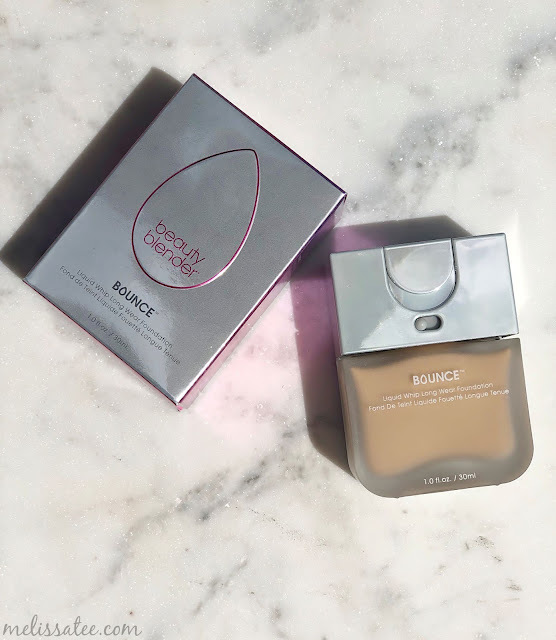 If I were to repurchase anything from the line, I would skip on this (based on a week of use). Step Four: Corrective Eye Creme: The corrective eye creme was one of the products I found to make a bit of a difference in my skin. I noticed that my dark circles/bags looked a bit less puffy and appeared to be a bit lighter than usual. 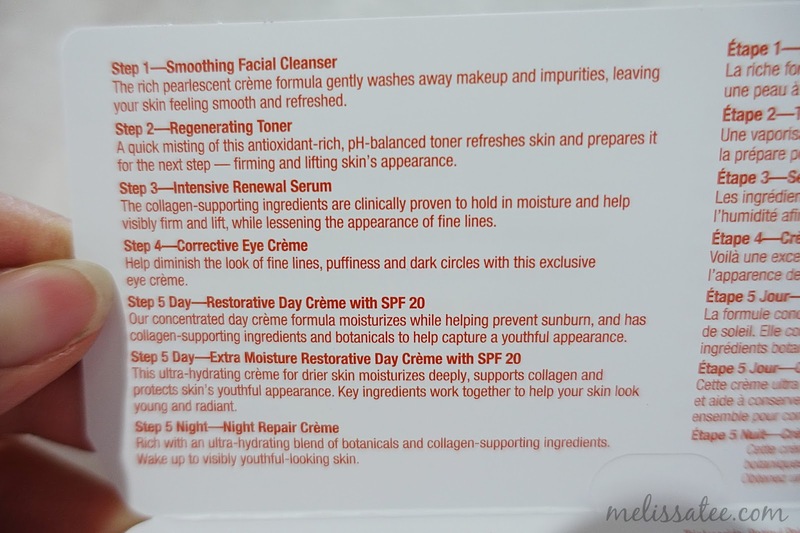 Step Five: Restorative Day Creme with SPF 20: I'm not a huge fan of moisturizers with SPF in them because I feel like they always give me a white cast. I always look significantly whiter even under my foundation. Step Five Night: Night Repair Creme: The night creme was a lot better than the day creme in my opinion. 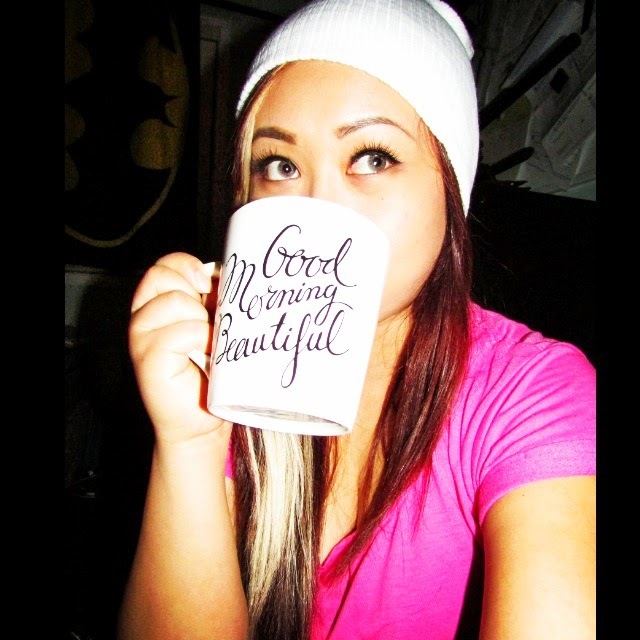 It didn't feel as thick and it provided my skin with the moisture and no greasiness. 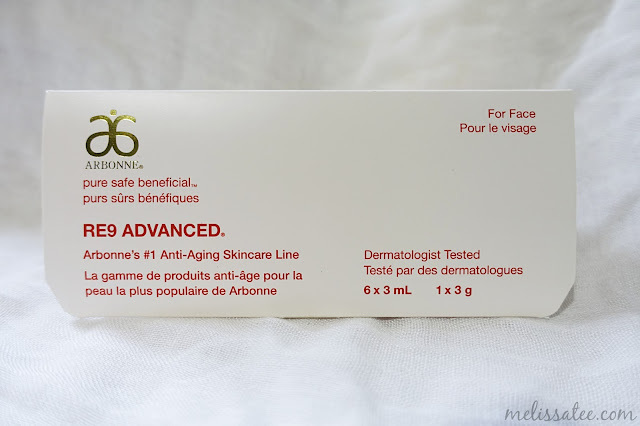 Overall, I was pretty neutral about the Arbonne RE9 Advanced Anti-Aging Skincare Line. 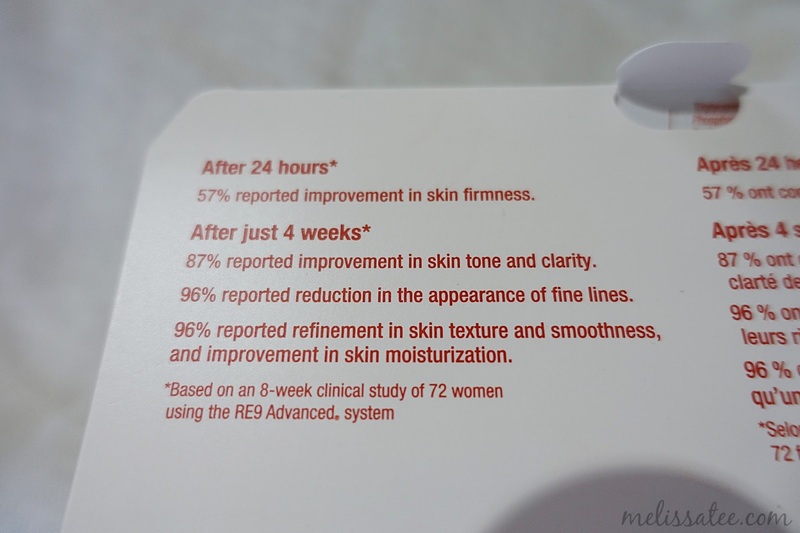 I personally can't comment if they work well or not because I don't think I'm suited for anti-aging products yet, so I wouldn't know if they truly improved my skin in that way. I have enjoyed Arbonne as a brand in the past, after using their many lipsticks. Based on this skincare line, it wasn't for me, because I'm not in the market for anti-aging products as of now.